On the hunt for that perfect Christmas gift for the metal baby in your life? Well, look no further, because the official Pantera stroller from Daphyls is here. Check out an Instagram pic of the hard-rockin' stroller below. 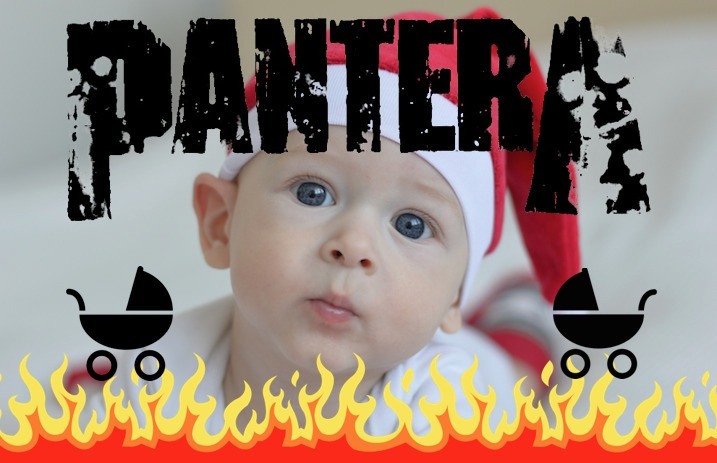 Now you can cruise the little one around in ultimate metal style while the debate inside of your head rages as to whether Vulgar Display Of Power or Far Beyond Driven is the best Pantera album. Well, which is it? Daphyls' slogan is “Babies Rock,” and the baby in your household will most definitely rock when they have their very own Pantera stroller. The thing's on sale for $59.99 right here, so get your order in before it's too late! Rock on! Our Christmas list is done.